Some features may not display correctly within the Firefox browser. If you are using Firefox, you may want to right-click the link and select “save link as” to download file first. Press the Esc. key at any time to exit full-screen view. To print this issue, please set page scaling to “fit to printable area” in your printer settings. 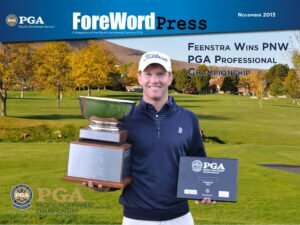 If you have any questions or comments about the e-magazine, please email mcannon@pgahq.com or call the Section office at 360-456-6496.